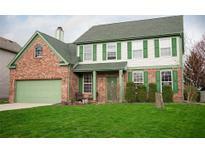 Below you can view all the homes for sale in the Westridge Village subdivision located in Indianapolis Indiana. Listings in Westridge Village are updated daily from data we receive from the Indianapolis multiple listing service. To learn more about any of these homes or to receive custom notifications when a new property is listed for sale in Westridge Village, give us a call at 317 979 0009. Much more to offer: roof in 2019; powerful range hood; energy efficient water heater & furnace; laundry chute; built-in shoe cabinet in the mudroom; updated light fixture; granite countertop vanities in the full bath; fenced backyard w/ covered patio & mature landscaping; mini barn…...Truly one of the largest floor plans & best choices in Westridge Village waiting for you to call it home. MLS#21633632. T L C Real Estate Group. Newer roof and AC. Home warranty included. MLS#21631309. Carpenter, REALTORS®. The basement is already decked-out and ready for storage of your ebay store items MLS#21631921. eXpert, REALTORS®.